Floral Bloom Silver Metallic Wallpaper is a great way to add a touch of glamour to your walls this season. This beautiful wallpaper is part of the much loved Opera Wallpaper Collection by Arthouse. It is sure to make a welcome addition to any room. 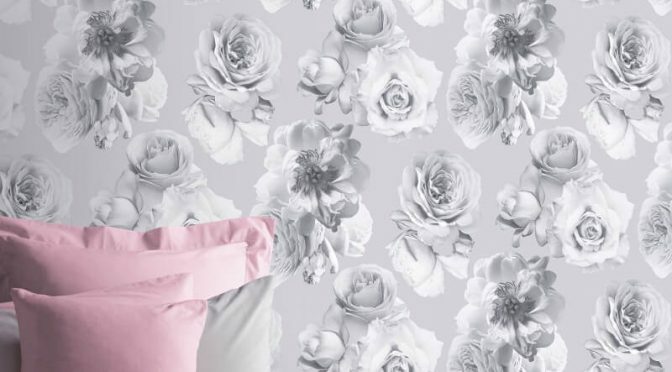 The wallpaper features an elegant floral print which is brought to life in an on-trend silver colour scheme. Furthermore, the metallic finish gives it that all important wow factor and completes the look. Finally, the Arthouse Floral Silver Metallic Wallpaper is perfect for creating a feature wall. Add muted cream and grey tones for a stylish finish.